Margaret Katherine Majer was born in Schloss Helmsdorf, Germany, the daughter of Margaretha and Carl Majer. Soon after the family moved to Philadelphia and Margaret and her two siblings grew up in the Strawberry Mansion section of the city. Margaret, an outstanding athlete, excelled in intercollegiate swimming as an undergraduate at Temple University. Her beauty brought her jobs as a model and cover girl. After earning her B.A. from Temple in 1921, Margaret Majer succeeded Ethel Loring as Instructor in Physical Education for Women at the University of Pennsylvania’s College for Women. She led the undergraduate women in athletic pursuits at the Kingsessing facility used as a gymnasium by Penn’s female students. While teaching at Penn, Majer became the first coach of women’s athletic teams at the University, organizing and training a women’s basketball team and scheduling the first intercollegiate competitions for women. The women’s basketball team played eight opponents in its first year, including Bryn Mawr College, Drexel University, and Temple University. Teams in gymnastics, softball, swimming, and tennis were planned for the next year. Margaret Majer also led a successful fundraising campaign to build women’s tennis courts on what, for a few years, was a vacant lot on the southeast corner of 34th and Walnut Streets. After only three years at Penn, Margaret Katherine Majer’s achievements brought her well-earned celebrity as the founder of women’s athletics at Penn. Margaret Majer married Olympic oarsman John Brendan Kelly in 1924, ten years after they first met at a neighborhood swimming pool. Jack Kelly, the son of an Irish Catholic immigrant and ten years her senior, won an Olympic gold medal for sculling in 1920. After working in the brickmaking businesses of two older brothers, he started his own business, eventually becoming a millionaire. He was also involved in politics. After serving as Democratic city chairman, he ran unsuccessfully as the Democratic candidate for mayor of Philadelphia in 1935 and would also have run for senator if his wife had not discouraged the move. Margaret and Jack Kelly settled in the East Falls section of Philadelphia where they raised four children: Margaret (or “Peggy”), Jack, Jr., Grace, and, the youngest member of the family, Elizabeth Anne (or “Lizanne”). Two of these offspring graduated from Penn, Jack in 1950 and Lizanne in 1955. Jack Kelly, Jr., won an Olympic bronze medal for rowing in 1956, became involved in the family construction business, and later became a Philadelphia city councilman as well as president of the U.S. Olympic Committee. Grace Kelly, of course, gained fame first as an actress and then as princess of Monaco. After her children were all in school, Margaret Majer Kelly became active in various civic organizations. In 1935 she began a long association with Women’s Medical College of Philadelphia, serving on its Women’s Auxiliary and Board of Corporators before chairing the Development Program and then receiving an honorary Doctor of Letters from the school. In recognition of her contributions, the Women’s Medical College named a section of the hospital for her. 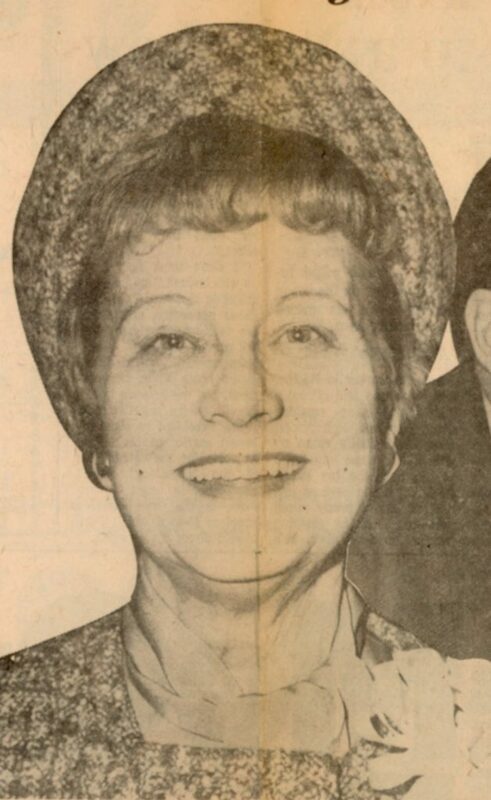 She also served as a member of the Philadelphia Board of Education from 1961 to 1964 and as a leader of volunteer boards and groups associated with the Philadelphia Association for Retarded Children, Moss Rehabilitation Hospital, and the Committee for Philadelphia House. Margaret Majer Kelly died January 6th, 1990.